Lest you think that my Tri to End Homelessness altruism stays with me through every workout, I have an embarrassing confession to make. My name is Robyn and I hate water aerobics. Specifically, I hate the water aerobics class with whom I share a pool many mornings each week. I hate the fact that many members of the class arrive 20 minutes early and demand to have a lane to use for warm-up (even though we have an entire second POOL that could be used for that exact purpose). I hate the fact that during said warm-up, these class members simply seem to be floating in the deep end with the help of their water belts. I hate the fact that once class begins they use 6 (yes, SIX) full lanes of our eight lane pool, even though they only have 8 class members (at least that's how many they had this morning). I hate the fact that the members of the water aerobics class barely seem to be working at all. And I hate the fact that their huge lane consumption means that my workout gets interrupted as I'm forced to move from lane to lane in the middle of a long set. I know, I know. It's incredibly selfish. It's obnoxiously elitist. It's definitely does not represent me at my best. And I hate this about myself. Please commence with judging me, now. The soothing warmth and buoyancy of warm water make it a safe, ideal environment for relieving arthritis pain and stiffness. Immersing in warm water raises your body temperature, causing your blood vessels to dilate and increasing circulation. As someone who says she values life-long exercise, surely I can get behind this and evolve past this morning's hateful thoughts. If changing the world begins with changing ourselves, here's hoping that today's confession brings us all one step closer. I was at lunch with a friend recently, chatting away about the Tri to End Homelessness campaign, when she asked "Can we REALLY end homelessness?". In short, my answer was YES. Yes, we can. Yes, you can. 1. Learn about homelessness and educate others. Reading the Tri to End Homelessness blog is a great start! Why not email the blog link to a few friends? 2. Support the development of affordable housing. Here in North Carolina the NC Housing Coalition is working to ensure that we all have access to safe, decent, and affordable places to live. 3. Contact your local elected officials and ask them what they are doing to support homeless children and families. 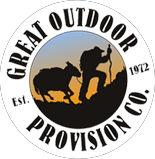 Ask for their support of local initiatives and programs. Ask them to establish a Plan to End Homelessness in your community. In the Triangle, you can read about each of our 10-year Plans to End Homelessness HERE. 4. Volunteer at a local shelter - no matter what you do for a living, you can help the homeless with your on-the-job talents and skills. 5. Volunteer at a soup kitchen. 6. Donate groceries, toys and money to local homeless shelters. 7. Donate leftover food and flowers from catered events. 8. Become a landlord to a family that is transitioning out of a homeless shelter. 9. Help a family move or provide "house warming gifts" such as linens, dishes, pots and pans, small appliances and lamps for children, youth and families who are moving out of the shelter and into their own homes. 10. Ask local television stations to schedule educational programs on homelessness. Your encouragement and praise of such programs can keep them on the air. 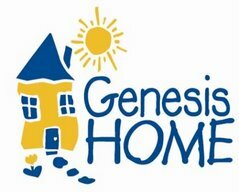 ...and (my favorite) #11: Make a donation to Genesis Home. Our local organization that is ending homelessness one family at a time. Monday: This cycle has been filled with a lot of strength-building work. Monday's morning swim included additional experimentation with swim props (but this time with much greater success!) and time on the weight floor. Wednesday: Since I was without a bike of my own until Wednesday evening, I beat the alarm gremlins and got up for my first spinning class in a long, long time. What fun! The evening brought a quick weights session before a lovely birthday dinner out on the town. Friday - Sunday: Brick (on the new bike! ), long run, and yoga at home. Too inhibited. Too afraid of what others think. Unaware of the radical possibilities that are only shallowly hidden inside. 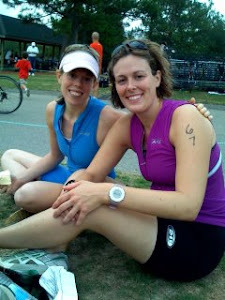 That's the way this article describes many amateur women runners in their twenties. On this, my 30th birthday, I'm thankful that my twenties -- especially the last six in which I became an athlete - taught me to let all of that go (in sport and life) and simply go for it. Grunting, all the way home. Here's to entering a new age group, starting a new decade physically, spiritually, and emotionally healthier than I've ever been before, and celebrating my 30th year all the way to $7,300 and the B2B finish line. ...and just in case you're still wondering what to get me for this important birthday, look no further than HERE. I'm watching the snow fall in the mountains of Western North Carolina after having just done something for the very first time: I practiced yoga on my own. Forty-five minutes, no teacher, no DVD, no book, no guide. Just me and my body and my breath. Although I've been taking regular yoga classes each week for over a year, I've been hesitant to move through more than a few compulsory post-run stretches. Which poses do I do? How do I move from step to step? How will I know if I'm doing it right? How can I concentrate without someone else taking all of the responsibility? Today, I chose to acknowledge all of those doubts and move forward anyway. I was reminded that it's exactly what we do when no one's watching that makes the difference. It's what defines the families that successfully graduate from Genesis Home's Family Matters Program from those who don't. It's what separates the Genesis Home kids who will break the cycle of their family's poverty from those who won't. It's what draws the line connecting the hill repeats and weight sessions and t-pace 100s and isolated leg training and sometimes muddled yoga we do now to how we race later. In our training, in the world, in our lives, what we do when no one will necessarily know is where it always begins. I'm glad to read that I'm not the only one who's pooped at the end of this week! Goals for this week included building on the increased volume and intensity my dear coach added to last week's mix. Build, volume, intensity: CHECK. Monday: The week started off with the first three workout day of the year. Get up super early, grab the 17 bags of gear, clothes, and food you've packed the night before, be the first one at the gym when it opens, swim, drive home, bike, work 8 hours, practice yoga, eat, fall into a deeply satisfied coma.....'nuf said. Tuesday: A chilly long run as the sun rose, followed by weights after work. I focused on really keeping my heartrate in my assigned zones. Who knew that going *slower* would one day be so challenging?! Wednesday: The morning brought a special ritual: a last dance with my current wonderful road bike, before a I turned it over to my new friend Hollie, a dedicated runner who's now well on her way to dominating duathlon. That's, right -- the birthday fairy is bringing a new bike into my life in celebration of my upcoming 30th! More on that exciting development soon. The evening brought amusement as I made my way through a very challenging swim workout with paddles and fins. Note: The first time you use fins in the pool, be sure to swim in the lane next to the elementary school swim team. They provide endless encouragement, tips, and some great gawky stares in your direction. Friday - Sunday: This morning I awoke up in the snow-covered North Carolina mountains for a long birthday celebration weekend getaway. After 9.5 glorious hours of sleep, I'm heading out to attack some hill repeats and savor my day off from work. Happy Friday! For me, exercise mean plodding along on the treadmill or elliptical machine, bored, counting down 30 minutes until I could check this self-imposed mandatory drill off my to-do list. It was sort of about weight maintenance, sort of about being 'healthy', sort of about feeling good. In any given week I would inevitably pull out all of the well known reasons for skipping a workout and, inevitably, nothing much would happen. I didn't really look better. I certainly didn't get any faster. I didn't ever really feel whole. I used to exercise. I now go play. I used to find all sorts of reasons for skipping a workout. Now, I find all sorts of creative ways to squeeze in one more lap, one more new route, one more set. I used to plod along, bored, counting down the minutes until it was over. This week, I've actually been sorry to see that my planned time for the day has elapsed. I used to question myself, my body, my ability, my place, my space in the world. Now I swim and bike and run.... and walk and work and love with the childlike sense of freedom that only play can bring. I used to exercise. I'm so thankful that I no longer do. Zone 3's where its at. I will not drop my heartrate. I sit at my desk at work. The first three weeks of base training and my first rest week of the year are officially behind me. With some added volume and intensity, this week of training raised several opportunities to think about FOCUS -- am I focused? on what am I focused? how can I re-focus? Monday: Welcome back t-pace! After threshold tests last week in both swimming and running, this's week's workouts put those test results into action. I was pleased to see that my swim times have remained steady since the height of last season and that my 3-mile test time was the fastest ever. A very nice way to start the year. Monday's swim involved lots of 100 yd repeats at my current t-pace. Breath and form, breath and form, breath and form....and can I get another cup of coffee....and breath and form.... don't forget to stop your watch....and form....That's pretty much all that went through my mind during Monday's swim. Yoga on Monday evening brought the return of Sage's lessons on the yamas and niyamas. I love this part of our yoga year. Every class has so many practical applications to my training. Tuesday & Thursday: Runs and weights both days. Thursday's hill repeats were especially fun - in that I love this, I hate this, It's gonna feel so good when it's done, It's gonna feel so good come race day kind of way. About 3/4 of the way up the hill, I found myself wanting to give up. I've noticed this 3/4 mental block in each tri sport over the last year. I can now see that this is something to really pay attention to and plan for. What 3/4 strategies work best? On Thursday, I overcame the 3/4 block with form and visualization: really pumping my arms and imagining myself being pulled up a ski slope by the tow-line. Wednesday: A breakthrough day! After a quick swim in the morning and a long day at work, I was dreading Wednesday's bike workout: sustained heartrate work on my trainer. No way around it, keeping my heartrate up on my trainer is just hard. BUT! Instead of mentally giving up and giving in, I decided to try out a few of the strategies my coach recommends in her new book : I chose a gazing point on which to focus; I counted pedal strokes; and for the last five minutes, when it got really tough, I chanted - yes, CHANTED....in Sanskrit....out loud. And you know what? All of those mental strategies really worked. My heartrate stayed where I need it, my cadence stayed high, my spirit stayed strong. So it seems that the big question of the week was: What do I do when I want to give up? It's the same question the staff at Genesis Home challenge the residents to ask of themselves when they feel the urge to return to unhealthy patterns. I intend to spend this year - not to mention tonight's swim and tomorrow's brick - exploring my own answers. ...like Meredith Emerson , who want to hike and run and bike and play in the woods without fear, today's run is dedicated to you. Ray and I didn't know Meredith, but we have not been able to stop talking and thinking about her. Her story and our lives are full of connections - and our prayers go out to her family. ... like my sisters Rachel and Holly who are making dreams into reality, this week of training is dedicated to you. Rachel started her doctoral program this week and Holly has been accepted into both of her top colleges! .... like my Sage Endurance buddies (guys, too!) and long time friend Carly , who have committed to big (and sometimes scary) training plans this year, this first month of the new year is dedicated to you. Run strong on Saturday, Claire (and Dave)! ...like the moms living at Genesis Home, doing the everyday work to face the fear of the unknown, but not be its prisoner, this year dedicated to you. To whom and to what are you dedicated today, this week, this year? The Homeless Alliance of Western New York addressed the topic in this September 2007 blog post on the Democratic candidates for President. The Informed Voters raised the issue a year ago and followed it up with an open letter to all presidential candidates. The National Alliance to End Homelessness has all of the facts and figures you could ask for, along with tips for contacting elected officials - and potential elected officials. ABC News highlights all of the current candidates with links to their biographies, policy positions, and more. It's a one stop shop for all of the issues that matter to you. For those of you in Michigan and Nevada and South Carolina and California and New York, ask the candidates how they plan to end homelessness in America. Ask them about the issues that have an impact on homelessness: affordable housing, living wages, health care for all (including mental health services), domestic violence prevention, and access to higher education. Ask the questions on behalf of those of us who won't see any election fervor until much later this year. Ask. Vote. Remember that this is what democracy looks like! It’s base training time and after a beautiful winter run last week with my coach, I’ve been thinking a lot about pace. Specifically, holding back my pace during my long runs. As coach and blogger ELF writes in a recent post, the season ahead is a long one and this is the time of year to focus on keeping efforts at the right pace. Sometimes that pace might not be the one we want to work in. I suspect that the families living at Genesis Home feel this way at the beginning of their time in the program too. After a few weeks, they’ve gained some confidence, may have tired of the rigid household rules, and want to spread their wings a bit - moving at pace that feels comfortable, but may also be what brought them to Genesis Home in the first place. Patience is the pace the required.